A credit score summarizes your entire credit report information into one number. This number is calculated by a mathematical equation that evaluates many types of information from your credit report at that particular credit-reporting agency. 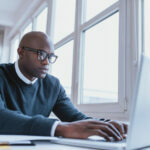 By comparing this information to the patterns in thousands of past credit reports, scoring identifies your level of credit risk. Your score tells a lender how likely you are to repay a loan, or make credit payments on time. The higher your score is, the better chance you have of getting the credit you apply for. Credit scores are one of the main tools creditors, employers, insurance and finance companies rely on to determine your creditworthiness. Your score is a quick snapshot that is often used when credit decisions are made quickly. Creditors may also obtain your full credit report, to access more detailed information to aide their decision on your level of risk. Credit reporting agencies use many types of credit scores to evaluate risk for different types of credit. 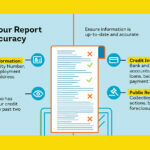 Mortgage lenders may use one type of score while auto dealers and credit card issuers would use other types of scores offered by the credit reporting agencies or that they have developed for their own purposes. First, know what’s on your credit report, detailing your credit history from each of the national credit reporting agencies. Monitoring your credit file will help you understand the information behind your credit score. Check for inaccuracies on your credit report. Be sure to examine your files from all three bureaus, as the information may not be the same on each one. If you find errors, take steps to dispute the information in order to remove it from your file. If you are having difficulty paying your bills, develop a plan now. Make a list of everyone you owe money to and how much you owe. Contact your creditors and discuss payment options. Begin now to catch up with late payments. Consolidate bills with a balance transfer to another credit card with a lower interest rate and also eliminate three or four other credit card accounts you currently have. Identify ways you can decrease your spending and increase your income. Ask a friend or family member to help you come up with a realistic budget that will help you catch up with late payments. Finally, don’t use credit cards until you are in a financial position to use them responsibly again.